The Finnegans Wake Notebook Edition is a fully integrated and cross-referenced edition of all the extant work-books compiled by Joyce after the completion of Ulysses. It will be published as a series of fascicles, one per authorial notebook, three per scribal notebook, fifty-five in all. This will make individual notebooks available to scholars as they appear and allow critical feedback, laying the foundations for an electronic edition that will be prepared simultaneously. The editorial aim is to bring together all of the information relevant to each note in as concise and simple a way as possible. The Finnegans Wake Notebook Edition will provide a reference library of comprehensively quoted source material-in effect an annotated digest of Joyce's working library-which will serve as a new starting point not just for exegesis of Finnegans Wake, but also for biographical, textual, and literary criticism of Joyce. 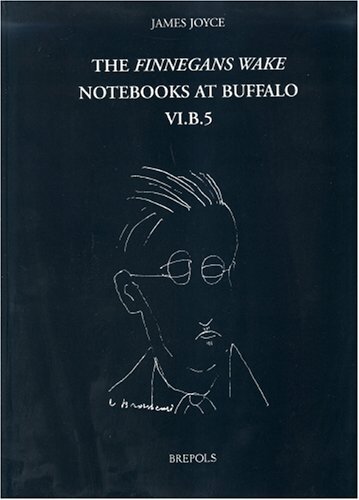 Furthermore, the Edition will allow for a reconstruction of Joyce's intellectual concerns and compositional habits during the drafting of Work in Progress / Finnegans Wake.